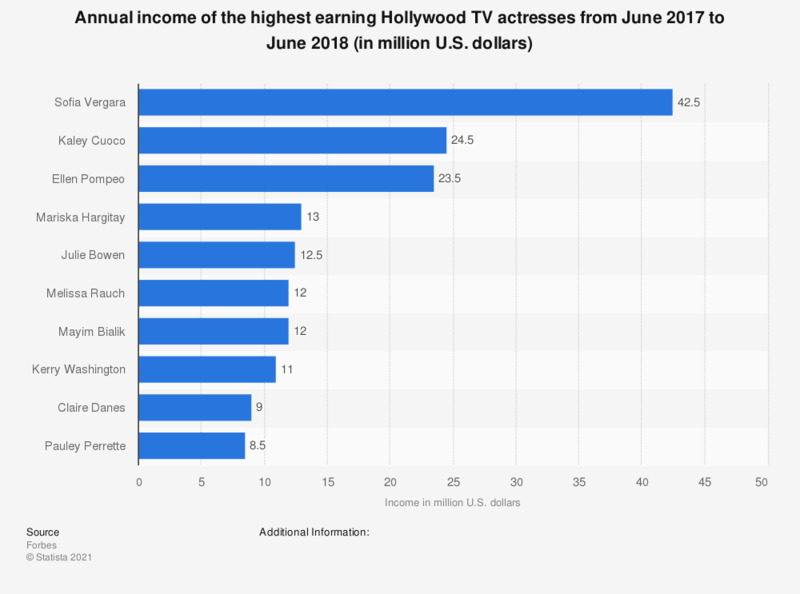 This statistic displays a ranking of Hollywood's highest-paid TV actresses between June 2017 and June 2018. In that period, Sofia Vergara, known for her role on 'Modern Family', was the highest earner, with an annual income of 42.5 million U.S. dollars. The sources bases its estimates on conversations with managers, producers, lawyers and industry insiders. Taxes, management fees and other celebrity expenses are not deducted.